Just in case you had any doubt that the Galaxy Note 8 was launching this week at Samsung’s big August 23 event, an error on the company’s website has sealed the deal. One mistake was enough for Samsung to confirm the phone’s design, as well as the fact that the cheapest model will have 64GB of storage. 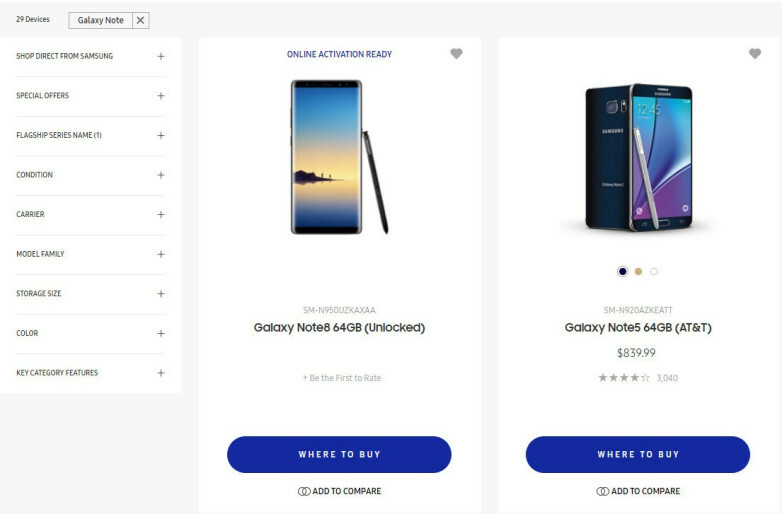 However, the actual Galaxy Note 8 mini-site did not go live, and clicking the link would not lead anywhere. Samsung removed the listing since being discovered late on Friday. Samsung’s Note has always been its jumbo phone, the one with a screen so large it’s almost a tablet. When the first such device hit the market in late 2011, it sported a monstrous 5.3-inch display, a previously unheard of size that elicited skepticism. Now, that size is normal. Apple’s iPhone 7, for instance, has a 4.7-inch display, while the iPhone 7 Plus screen is 5.5 inches. And it’s not just phones from rivals that have gotten bigger. Samsung Galaxy S8 screen is 5.8 inches while the Galaxy S8 Plus is 6.2 inches. The Galaxy Note 8 screen is rumored to be 6.4 inches, just a smidge bigger than the S8 Plus. Samsung will officially unveil it on 23 August, and reports suggest it will hit the market on 15 September, just after the expected launch of Apple’s newest batch of iPhones.